The only invite feature I know of is the one in the admin panel. That can be used by going to Acp-->General-->Forum promtiom-->Invite friends . There used to be an option where any member could share about the topic or post or what not and send via email. It was its own page with a short form for the email and message then it would automatically send it through the site when they press sent. Otherwise if no one can find it, is there something similar I could do to accomplish this directly through the site, where members could put in their friends emails and it sends the person an invite. Even with the use of another program/site? @DesignersSociety wrote: There used to be an option where any member could share about the topic or post or what not and send via email. It was its own page with a short form for the email and message then it would automatically send it through the site when they press sent. @DesignersSociety wrote: Otherwise if no one can find it, is there something similar I could do to accomplish this directly through the site, where members could put in their friends emails and it sends the person an invite. Even with the use of another program/site? 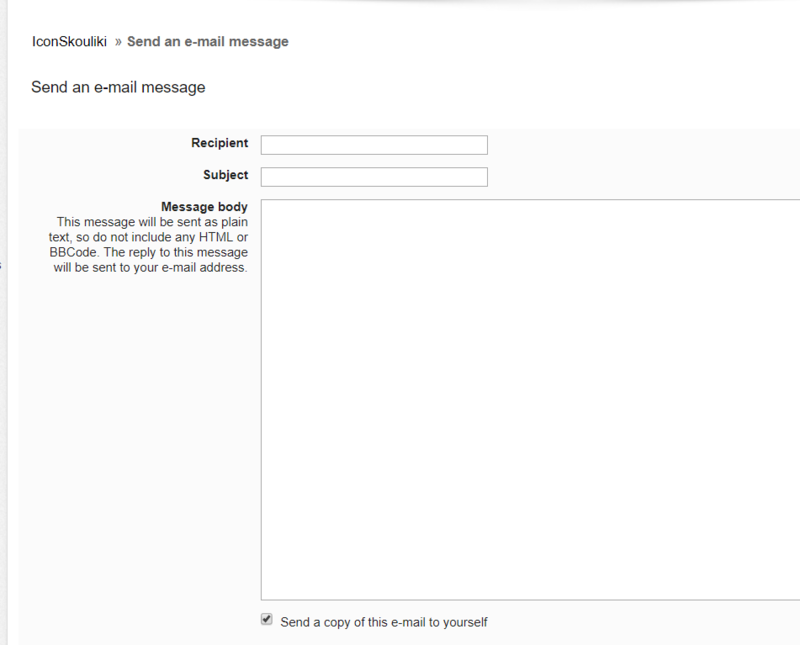 we do have one other way to send a email to some one but this will use your own Email address not the forums one. @APE I don't think mine works considering we just use the blog format and I've highly coded it so there are no sharing options. I am able to find the old forum posts in archives but even with that the share options I have are old, probably for phpbb2 and don't offer that sadly. If I could put AddThis on my site that might work but otherwise seems like a lot of work for myself and for members to fill out. I've experimented with some contact forms to integrate on my site but the few I tried don't let me send autoreply messages to the listed emails without having some sort of paid for membership. Never mind, I found a solution using JotForm. For reference to those who may want to offer this feature on their site. If you know how to customize a form you can embed one on your site and set it up on JotForm so they send an AutoResponder email to the email listed in the form. Then I customized the email it sends with the username of the person who invited them and what not!